The amplifier is beautifully constructed, being class D it is light weight as the power amplifier is very efficent at creating power. So less heat is generated and you have a more compact size in return. 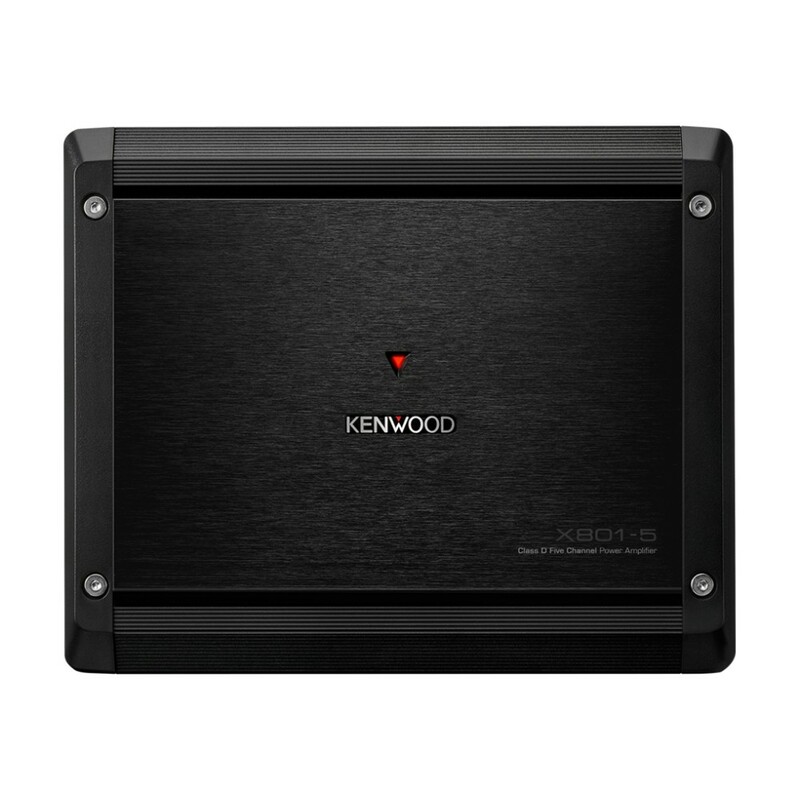 Kenwood as a brand has great heritage in car power amplifiers, some of you maye recall some of the award winning power amplifiers in the 1990's - 2000's . I remember products such as the PS series those amplifiers would give tremendous power output with excellent sound quality. These days amplifiers needs have change quite alot and we now need less power, cleaner sound and more compact solutions. One thing you will notice about the Kenwood X801-5 is just how compact the amplifier really is. When I opened the box and held it in my hand it is smaller than a piece of A4 paper! Now that is small for a power amplifier. You have front /rear and sub line inputs however you can use only front and rear if you wish too. Speaker wire input can be use with the correct adpaters. Speaker and power terminals are of a good size allowing for correct wire sizes to be used. All inputs and outputs are covered by end caps giving protection. Sound Quality wise you will find the amplifier very dynamic, clean and punchy. Midrange is very direct and focus and the high's are nice and linear. With the dedicated 300w rms mono channel you can drive a failry large subwoofer, with surprise this amplifier runs very cool and gives an impressive and powerful bass. I tested it with the In Phase Xt-12 and it had no problem delivering clean accurate power bass with alot of control. Overall this is a great amplifier if you want to add that little bit of extra power with great sound qualuity. An absolute must in my book. Does this amp come with wiring kit? The Kenwood X801-5 does not come with a wiring kit. Do you have these in stock at your illford store.